The research nonprofit receives matching $3.1 million donations from the Harold Alfond Foundation and an anonymous contributor. An artist's rendering of the new Bigelow Laboratory for Ocean Sciences student and visiting scientist residence. Donations from the Harold Alfond Foundation and an anonymous contributor will pay for construction of a $6 million visitors residence at Bigelow Laboratory for Ocean Sciences’ campus in East Boothbay. Bigelow announced Wednesday that the Alfond Foundation will donate $3.1 million toward the project. The project will also receive a $3.1 million matching grant from a donor who has asked not to be identified, Bigelow spokeswoman Darlene Trew Crist said. 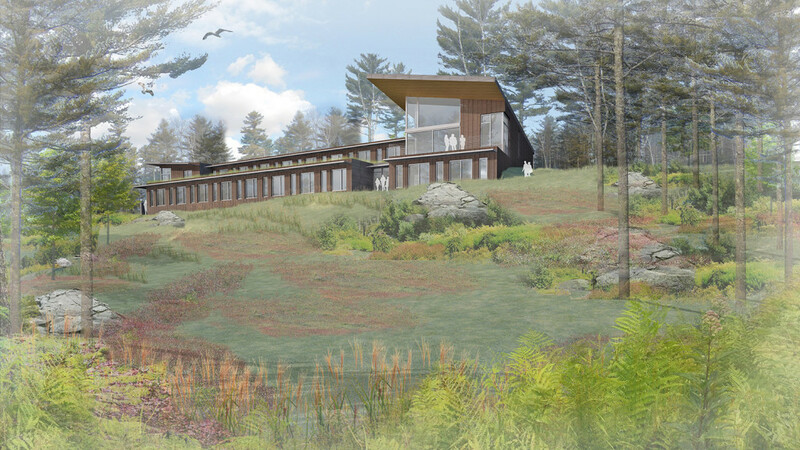 The two donations will be used to build a 32-bed student and visiting science residence – with four visitor’s apartments – overlooking the Damariscotta River. Graham Shimmield, executive director of Bigelow Laboratory, said the new housing facility will allow students and visitors to stay on campus while participating in educational and research programs. “It will allow us to expand our educational programs so more students and professionals have access to our world-class scientists,” Shimmield said in a statement. Founded in 1950, the Harold Alfond Foundation furthers the philanthropic legacy of Harold Alfond – founder of the Dexter Shoe Co.
Over the years, the foundation has contributed to education, healthcare and youth development projects. Those grants have helped fund construction of athletic facilities for public and private colleges as well as a center for cancer care and a center for health sciences. Bigelow’s educational programs serve high school students from all over Maine, undergraduate students from across the United States and visiting scientists from around the world. Bigelow Laboratory conducts research on microbial oceanography and ocean processes that affect the global environment. It was established in 1974 as a private, nonprofit research institution.